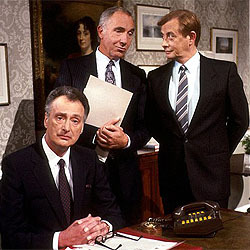 Yes Minister (and its successor Yes Prime Minister) are quintessential political comedies. The embodiment of the attitude of the time to authority, gently portraying Westminster politics as a world of hypocrisy and doubletalk. With the world crying out for political satire, it’s an ideal time to examine this beloved series, its enduring success, as well as its recent revival with creator and co-writer Jonathan Lynn. Discussing the development and execution of the show, and sharing Jonathan’s insights into comedy writing and show structure, this session will be a must for all lovers of political satire and sitcom. 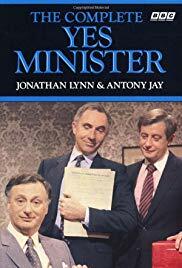 Jonathan co-wrote and created the quintessential political comedy 'Yes Minister'. Frederick Edward Robin Butler, Baron Butler of Brockwell, KG, GCB, CVO, PC is a retired British civil servant, now sitting in the House of Lords as a life peer.